SIHO's Claims Department receives extensive claims processing training that includes knowledge on ICD-10, CPT procedure codes, diagnosis codes, medical terminology, as well as fraud and abuse procedures. Each year, the Claims department processes over 2 million medical and dental claims. Claims are received electronically as well as on paper. Currently, approximately 85% of all claims are received electronically. The average turnaround time from receipt to processed date for all claims is 4-6 days. The claims department strives to keep no more than 5 days’ work on hand at any time in order to maintain timeliness. Claims Analysts are audited at 100% during the training period as well as during the learning period following training. After training is complete, regular audits are done on a monthly and quarterly basis to ensure both financial and benefit accuracy. In addition to auditing the Claim Analyst, when a group switches to SIHO or at the time of benefit changes, extensive auditing occurs to ensure accuracy in the system set-up before any claims are adjudicated. SIHO's staff of highly trained Member Service Representatives are available to help answer any questions pertaining to the health plans SIHO administers. 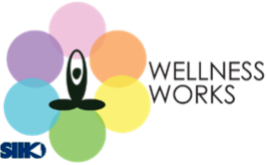 Inquiries include benefit coverage questions, claim inquiries, and providers verifying coverage and benefits. Member Service Representatives are required to log all calls on SIHO’s integrated system. Calls are also routinely monitored by management personnel to ensure SIHO is providing quality service to our clients. SIHO's state-of-the-art telephone system has comprehensive monitoring and audit capability to ensure SIHO continuously monitors its service levels to meet the needs of each caller. Our automated call distribution system is a combination of specifically designed hardware and software that has been engineered to be the most flexible integrated technology available in the industry to further enhance member satisfaction. One of the unique features of SIHO’s Member Services is the option for members to come in and meet with our Member Service Representatives face-to-face in our corporate headquarters office in Columbus, IN. Whether a member would like to walk-in and pick up forms or discuss the intricacies of a complex benefit situation, members are always welcome. If a member would like to meet outside of normal business hours, arrangements can be made for after-hours appointments. SIHO’s Provider Relations department develops strong relationships with medical communities, adding both financial and qualitative benefits to SIHO members. 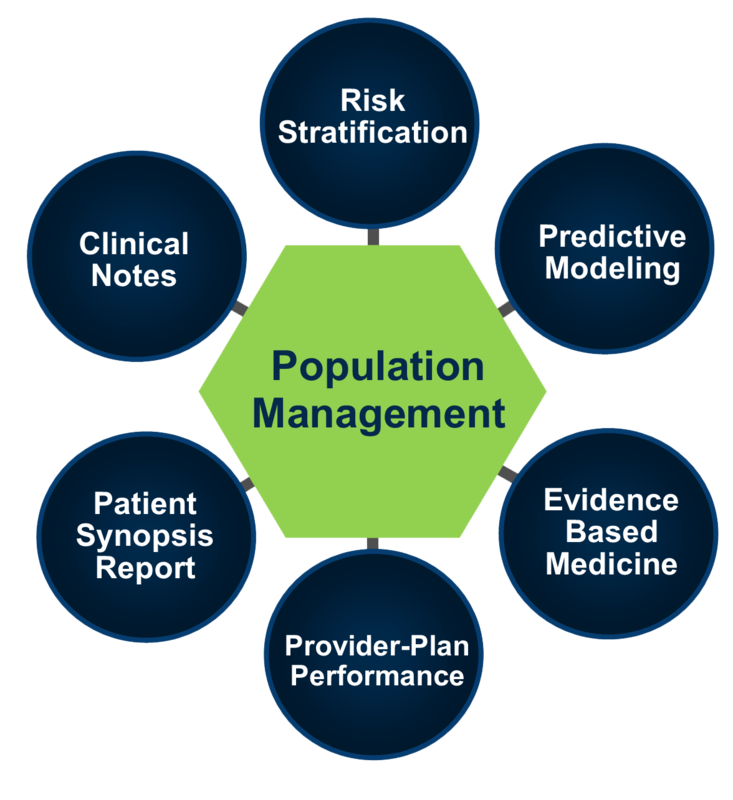 Our dedicated team of professionals focuses on cost containment initiatives, allowing employers access to networks and products that reduce healthcare costs and improve quality. 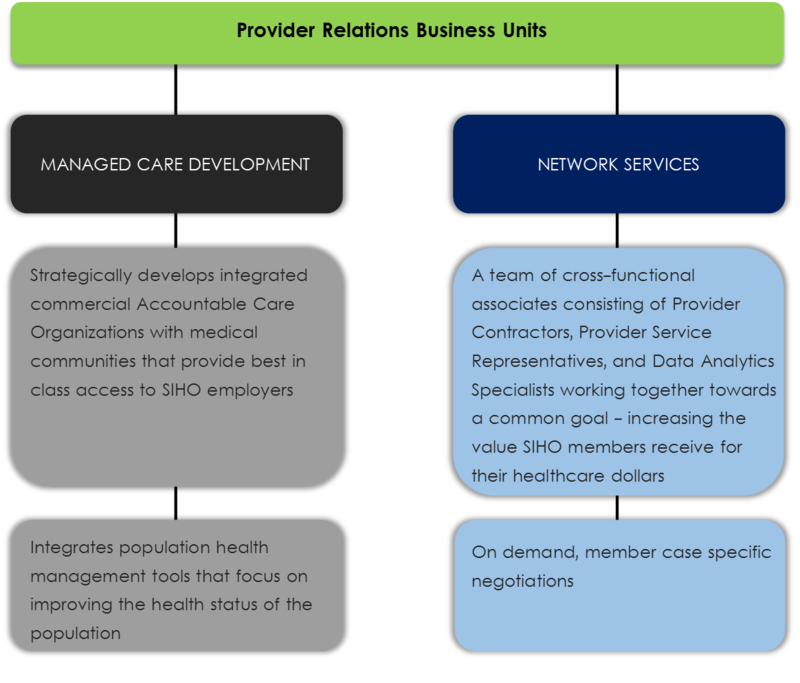 SIHO has developed a comprehensive solution for provider networks that offers members regional and national access through our proprietary and Preferred Provider Organization (PPO) network partners.